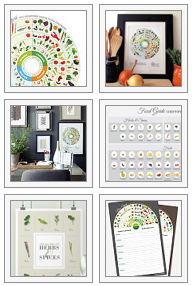 After months of building and designing, Jessica Haas Designs online shop has launched! Visit our very own online shop at JessicaHaasDesigns.com. Sign up for the mailing list at the bottom of the home page to be the first to know about new products and sales. For example, did you hear about our Kitchen Measurement Conversions and Cooking Temperatures Poster? You’ll never need to look up a meat temperature again; and forget working out measurement conversions because this is your solution. This informative, smart, and beautifully designed chart can make a great addition to your kitchen wall and save you time. Unlike most cooking or baking charts, this is a two-in-one, featuring cooking temperatures and measuring conversations. Find it on our website and on Etsy.